At first glance, this corner of downtown San Francisco seems like any other city corner: pedestrians hurry by, cars fill the street for the evening rush hour, the occasional sirens blare in the distance. But for Lisa Miriam Jacobs, founder of Vacay Vans, this is home—for the next few days anyway. 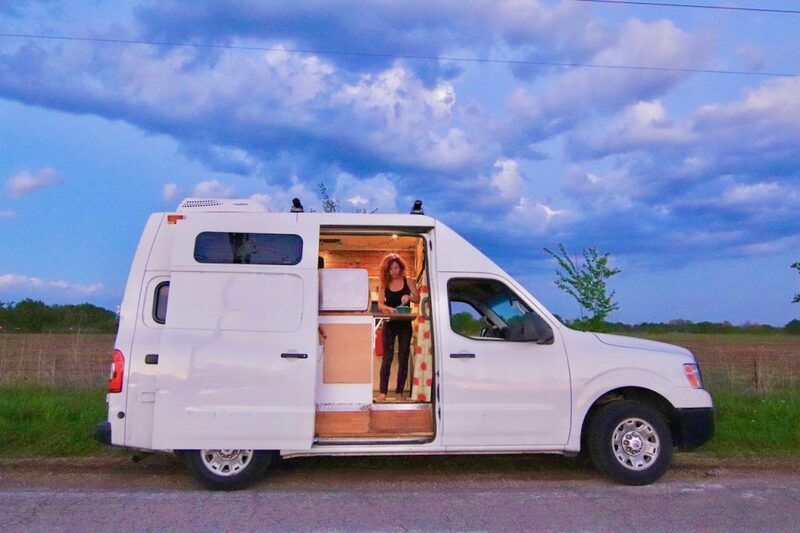 Lisa Miriam Jacobs in her converted Nissan NV2500, which she lives in full-time. Photo by Amy Rigby. Jacobs has a love-hate relationship with the term “solo female traveler.” On the one hand, she brands her Instagram account with the label so other women who might be too afraid to do vanlife on their own can find her and be inspired. But on the other hand, she bristles at the term. But truth be told, Jacobs had never planned on doing vanlife solo. Photo by Lisa Miriam Jacobs. 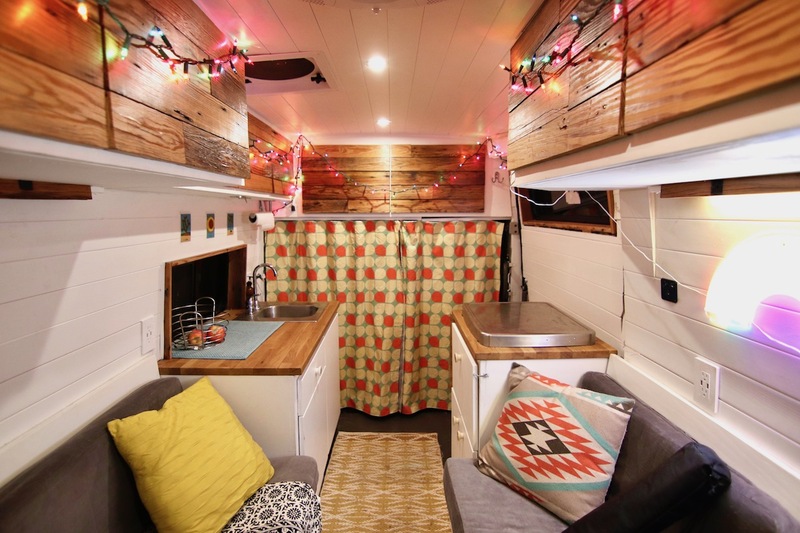 Jacobs first learned about vanlife a year ago while researching a trip to Europe with her boyfriend. In her search, she came across van rentals. 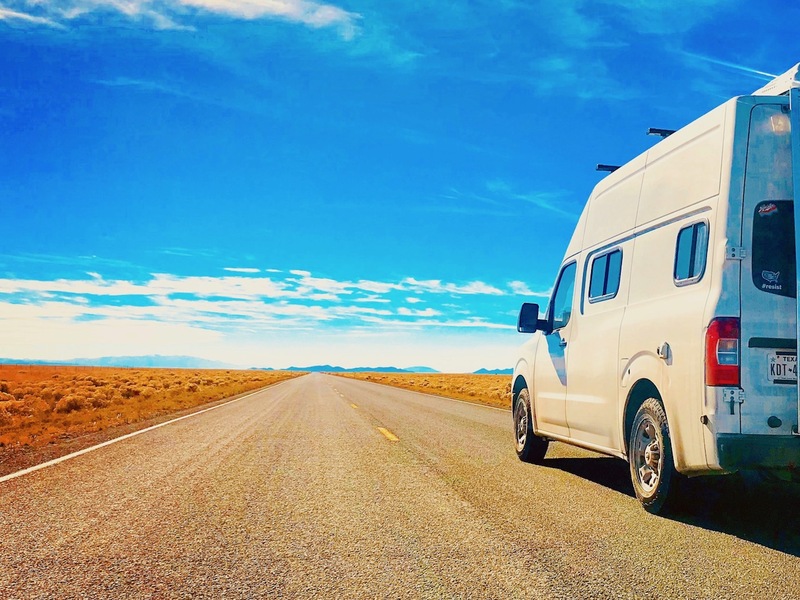 Jacobs found out about vanlife on a Friday night, researched it all day Saturday, and by Sunday had found Freebird—a 2012 Nissan NV2500—on Craigslist. That evening, she practically forced a deposit check into the seller’s hand. Jacobs had the van. She had the boyfriend. Together, they started an Instagram account. 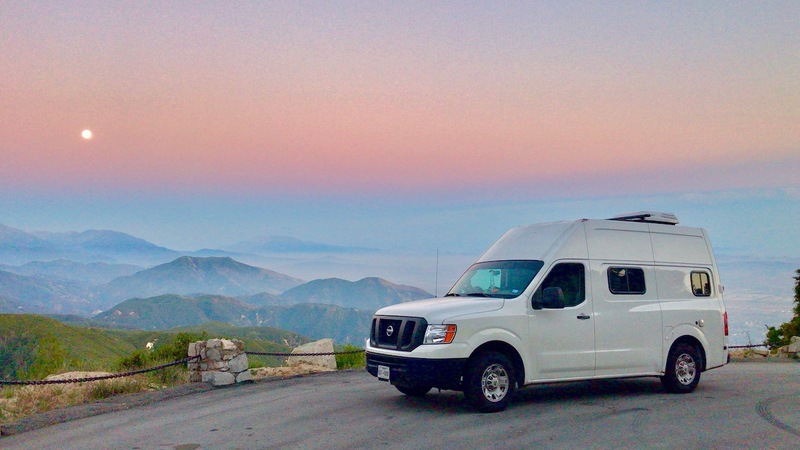 And in October 2017, they hit the road to live their vanlife dream. Eventually, Jacobs got the van and drove it from Denver to Austin for repairs. That first night sleeping alone in Freebird was a defining moment for her. But when the sun rose, Jacobs awoke to a quaint little town filled with smiling people. “That really made me realize that I don’t have to be afraid,” Jacobs says. With hair as bold as her personality and a no-holds-barred approach to what she shares on social media, it’s hard to believe that Jacobs was once a little girl in a small town, just trying to be like everybody else. Raised as a vegetarian in a Jewish household, she was verbally bullied by her peers for being different. “I learned from an early age that standing out and being different was a really dangerous thing,” the self-professed people pleaser says. She wanted to be an actor, but was encouraged by her father to become a lawyer. “I went to law school, and I think that I subconsciously was trying to get his approval,” Jacobs says. For several years, she has been doing legal work remotely for a corporation. If there’s one thing you should know about Jacobs though, it’s that she’s hard to put into a box. She’s a self-taught photographer and Instagram influencer—with more than 20,000 followers and growing—who creates stunning photos and engaging videos. She’s an interior designer who used to renovate houses. And, more recently, she became a writer. “It’s been a long process to try to not care what people think,” Jacobs says. While vanlife didn’t start the way Jacobs had planned, she’s learning to enjoy the ride despite any bumps in the road. “A lot of things have surprised me, to be honest with you,” she says of her life on the road with Freebird. Among those surprises? How few things she needs to be happy, how little water she uses, and how comfortable she is living in just 60 square feet of space. Another thing that surprised her is just how drawn people are to the van. People approach Freebird all the time—sometimes peering into the windows—and ask Jacobs all sorts of questions, which she welcomes. 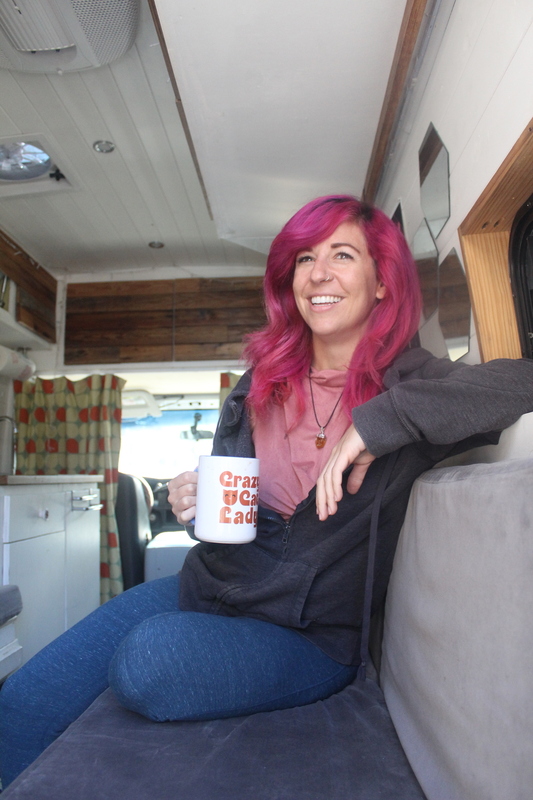 From Aug. 10 through 12, Jacobs is co-hosting a vanlife gathering in Taos, New Mexico, where she hopes to continue to show others what’s possible with vanlife, even if she doesn’t fit the typical mold. “Even when I didn’t have pink hair, I think that I looked a little bit different from what a lot of people saw from people in vans,” she says. If there’s one thing we can learn from Jacobs, it’s that there’s so much more to her story than what you see at first glance.